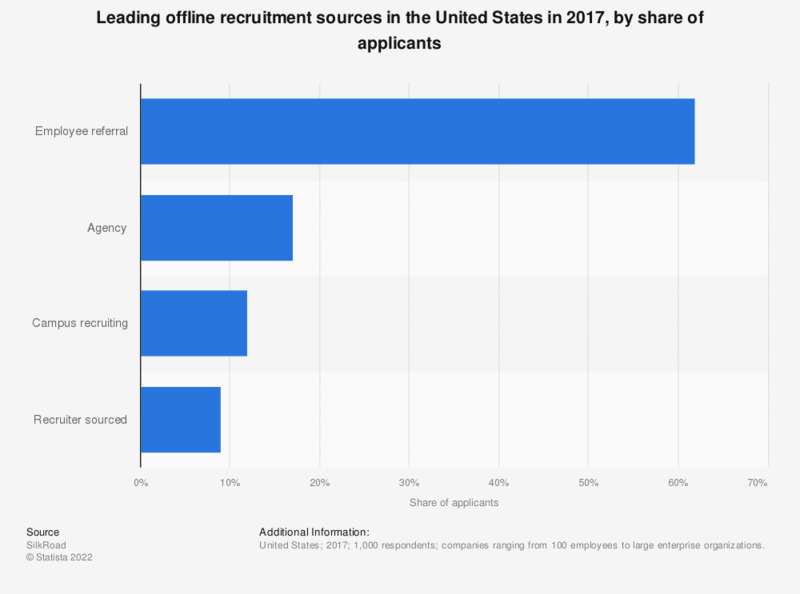 This statistic depicts the leading offline recruitment sources in the United States in 2017, ranked by the share of applicants. During the survey, 62 percent of the total offline job applications received were from employee referrals. companies ranging from 100 employees to large enterprise organizations. What is the single most valuable metric that you use to track your recruiting team's performance today?